The European Space Agency says scientists have pieced together a final image of a comet's surface taken by its Rosetta probe just before its mission ended in a slow-motion crash a year ago. ESA guided Rosetta to the surface of comet 67P/Churyumov-Gerasimenko on Sept. 30 last year, ending its 12-year mission. 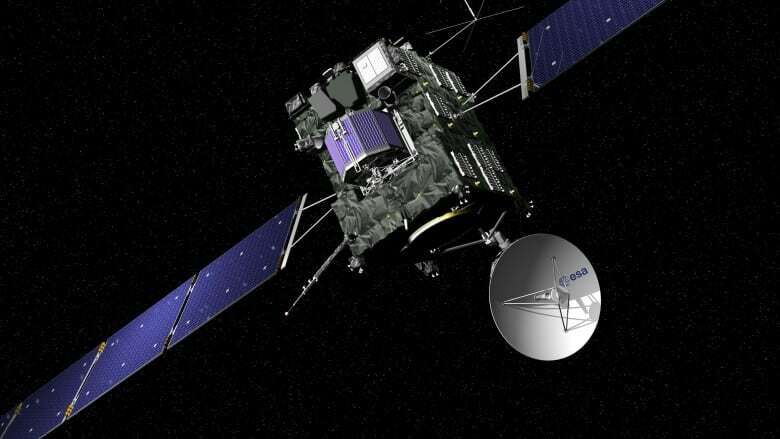 Rosetta had previously sent a separate lander to the surface and collected vast amounts of data. 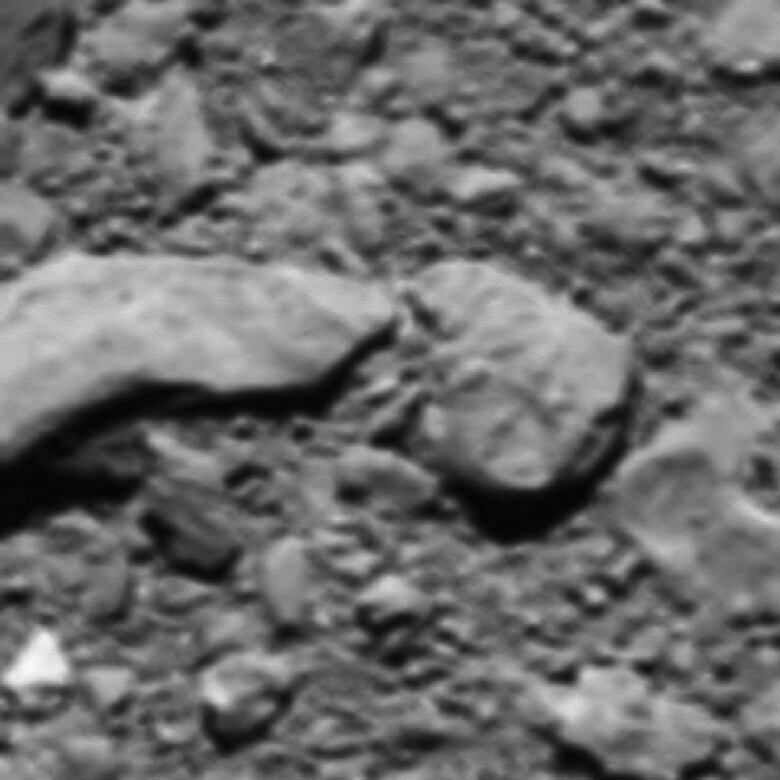 The agency said Thursday that scientists have worked with the very last data Rosetta sent to piece together a final image of the touchdown site, showing details of the rocky surface. Scientists decided to crash-land the probe on the comet because Rosetta's solar panels wouldn't have been able to collect enough energy as it flew away from the sun along 67P's elliptical orbit. The spacecraft spent more than 10 years chasing the comet 800 million kilometres from Earth before landing a probe on it in November 2014. Launched on March 2, 2004, the Rosetta travelled nearly eight billion kilometres, a journey which included three Earth flybys, a near brush with the surface of Mars and two asteroid encounters.